Our dear friend Liza works for an aged care advocacy organisation in Brisbane. 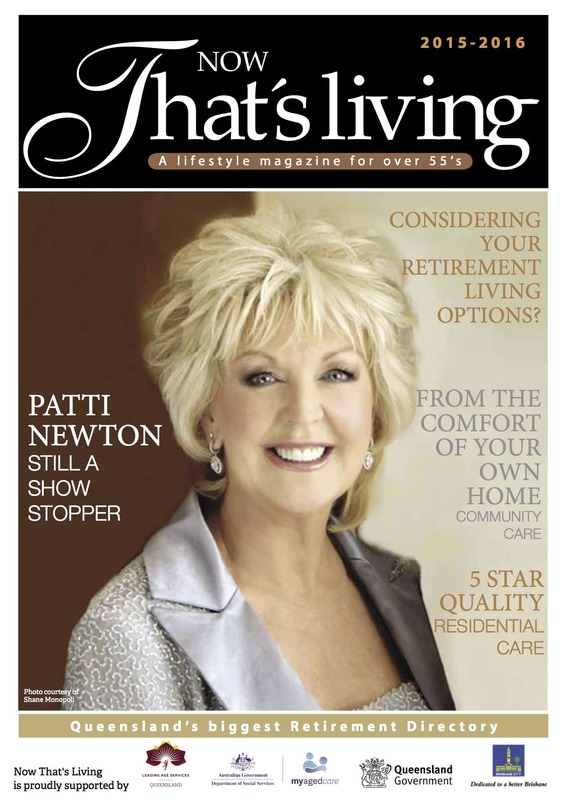 A part of Liza’s job is to manage the production of an Over 55’s monthly magazine called “Now That’s Living”. 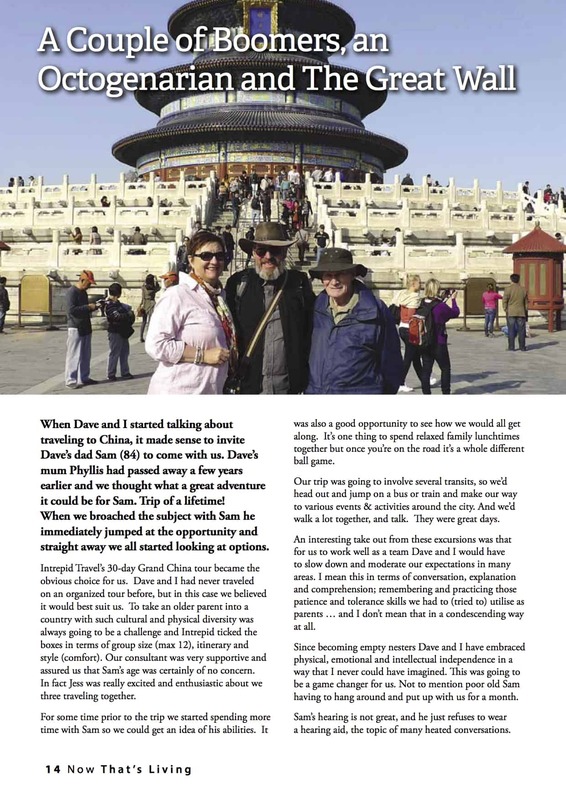 A few months ago Liza asked me to write a piece about Dave and I traveling to China with Dave’s dad Sam in 2012. 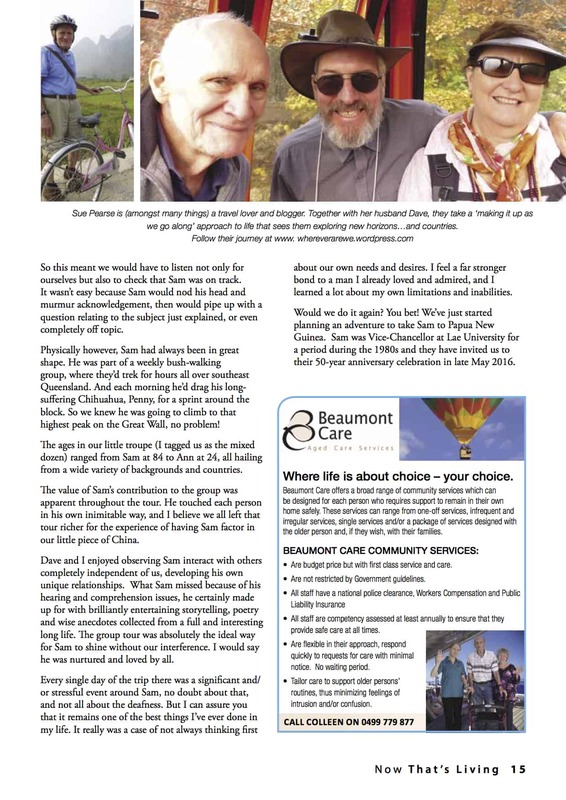 Liza thought their readership would be interested to read about our experiences of the trip, in terms of “baby boomers” traveling with older parents. Particularly around some of the pitfalls, challenges and rewards. (I’ve not considered myself within that demographic, but I guess I am). I started writing this blog here based on our incredible experiences with Sam traveling with our small group through China. It still stands out as one my greatest journeys. I’m happy to say that Sam continues to thrive and enjoy life, having recently sold the family home and now living in a fully self-contained cottage within a retirement village setting. In fact, when Dave called him from New Zealand this week, Sam reported that he is traveling at 90%! That’s a higher rating than many we know (including ourselves at times). Anyway, here is the article. I’m no professional writer, but I’m satisfied with the outcome.